I am gravely concerned for the civilian population caught in the crossfire in south-west Syria, including airstrikes and heavy shelling. An estimated 750,000 lives are in danger. More than 320,000 people are now displaced and most are living in dire and insecure conditions, including some 60,000 people camped at the Nasib/Jaber border crossing with Jordan. Although local communities in Syria have opened their doors to take in many of the displaced, most are forced to live in open spaces or in makeshift shelters that offer little safety and protection from the elements. There are large numbers of women and children among the displaced, as well as elderly, injured and sick people and I am especially concerned about them. Among the displaced are also local humanitarian workers who have selflessly served the civilian population throughout the duration of the conflict. Clearly, the most immediate priority is to find a political solution to the conflict and spare Syrian civilians further suffering. Meanwhile, the United Nations and partners are doing their best to deliver life-saving aid to the people of South West Syria from within Syria and across the Jordanian border, but the security situation is hindering our efforts to reach a large number of people in dire need. I call on all parties to redouble efforts to cease hostilities, to allow humanitarian actors to deliver life-saving assistance, shelter and evacuate the wounded. The protection, safety and security of civilians and humanitarian workers is of utmost importance – a core principle of international humanitarian law that needs to be guaranteed by all parties to the conflict and the international community at large. The hostilities in the border area are life threatening and leave many no choice but to seek safety in neighboring Jordan. I commend Jordan for generously providing protection to hundreds of thousands of Syrian refugees since the beginning of the crisis and for providing and facilitating assistance to those in need inside Syria. Given the immediate dangers, I am advocating for granting temporary refuge in Jordan to those in need of safety and for the international community to provide immediate and substantive support to Jordan, in a spirit of solidarity and responsibility sharing. 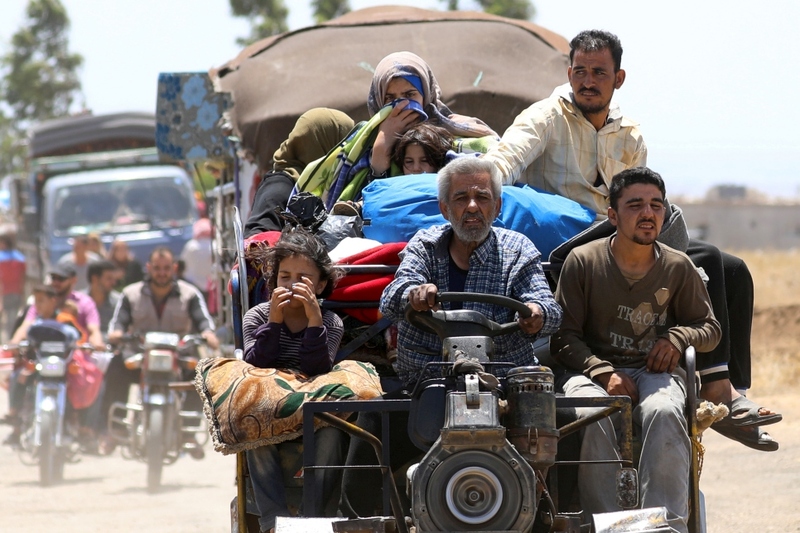 UNHCR is prepared to immediately scale up its assistance inside Syria and to Jordan. Thousands of innocent lives are going to be lost, once again, if urgent action is not taken.